Guide to sharing crowdDJ with your followers! 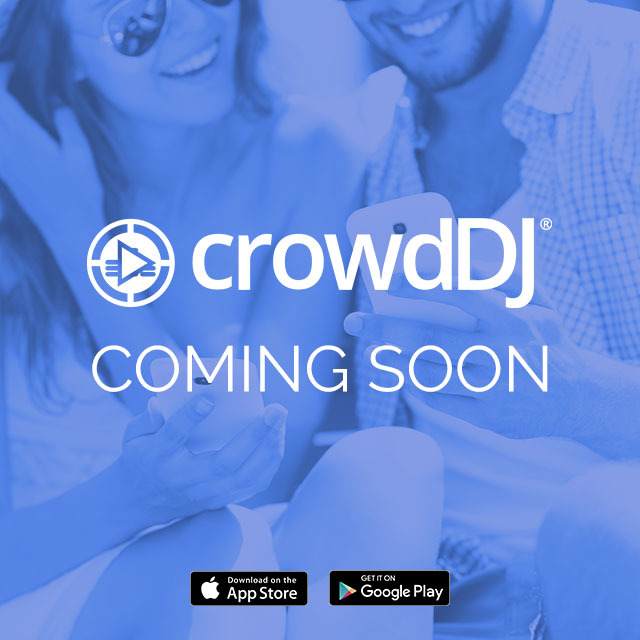 Everyone wants to be a DJ and thanks to the crowdDJ app now they can! 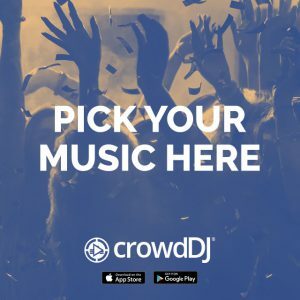 Your patrons can have a say in the music they hear in your venue; an exciting innovation that sets you apart from the pack. 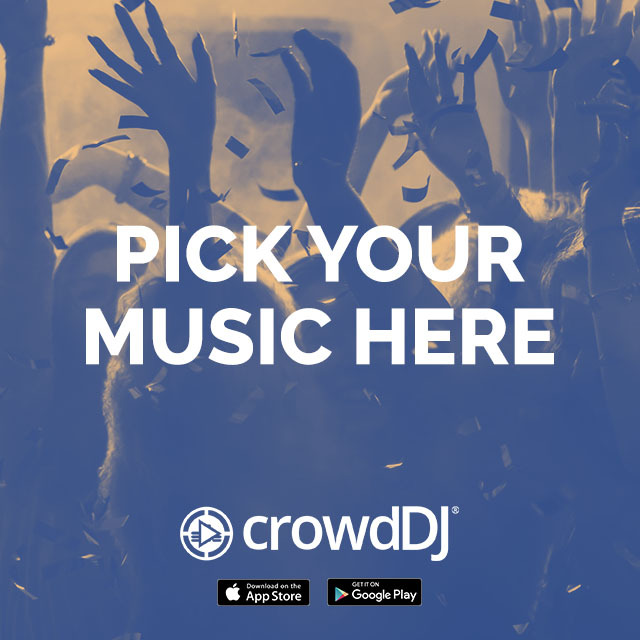 Now that you’ve made the investment, it’s time to get social and tell your followers how they can pick their favourite songs in your venue. 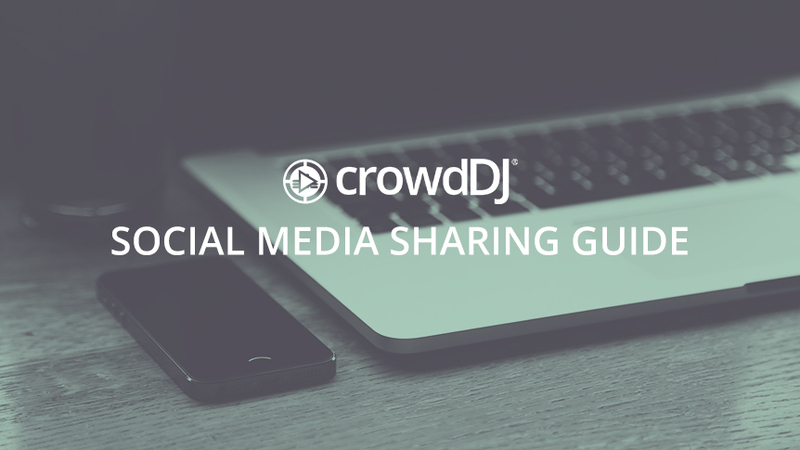 In this social media sharing guide, we’ve included options for text and images that will help you promote crowdDJ to your followers. 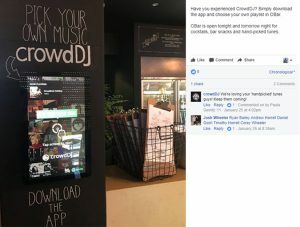 We’ve put together some options for posts promoting crowdDJ in your venue, as well as some shareable images. 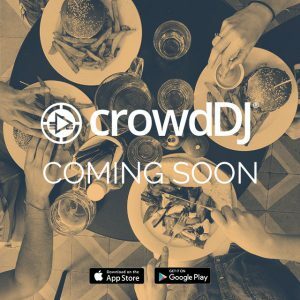 Your first post should introduce the crowdDJ concept to your followers. 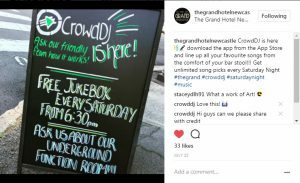 We have put together a few sample suggestions you can use but of course, feel free to use your own wording to promote your venue. 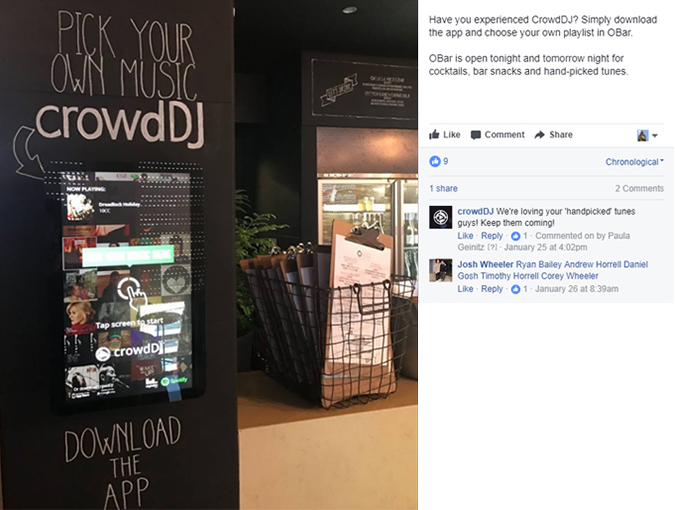 Go to your venue’s Facebook page and create a new post. 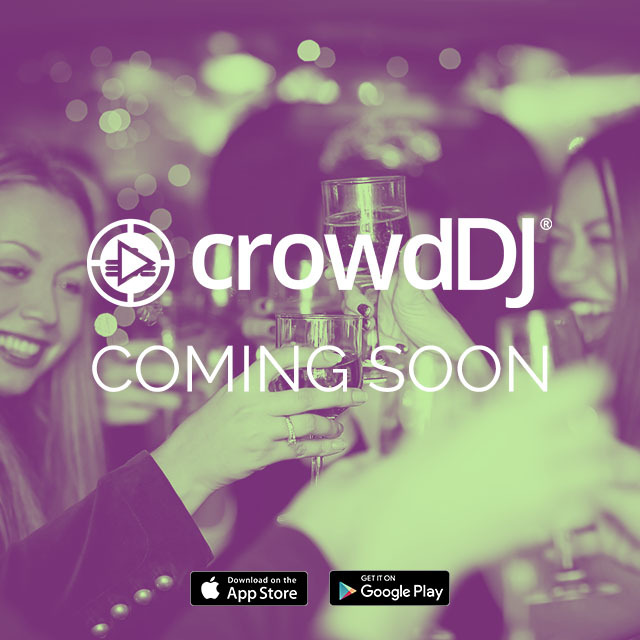 Don’t forget to tag @crowdDJ and @Nightlife Music so that we can support you. We may even be able to share your post (pending space in our social content calendar). Not sure how to tag on Facebook? Click here to find out how. 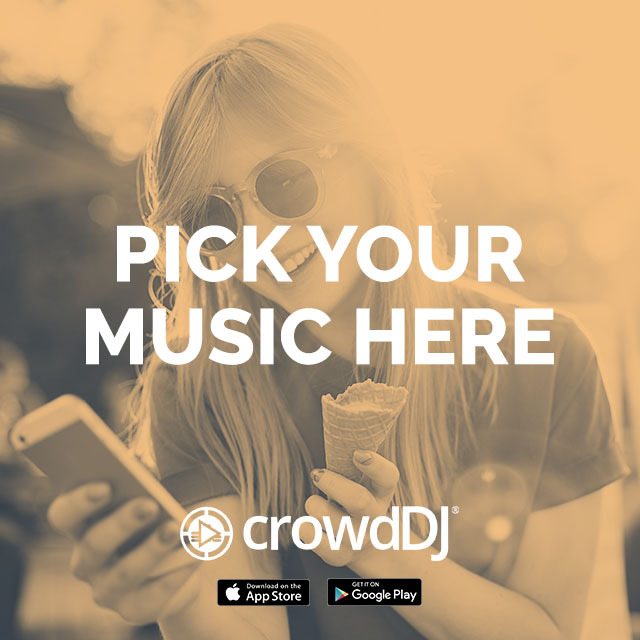 You now have the power to choose the songs that play here at [YOUR LOCATION/VENUE NAME]. Yep, we’re bringing you crowdDJ thanks to our friends at Nightlife Music. 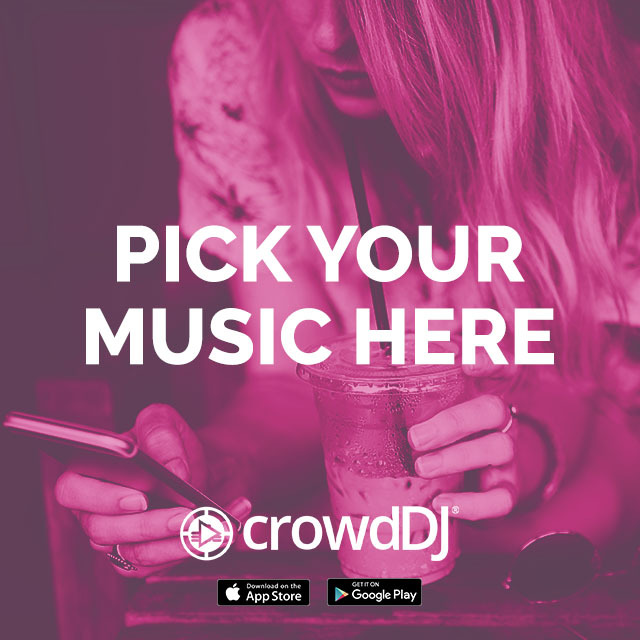 Download the app now, check in and start picking your favourite tracks! Great news! 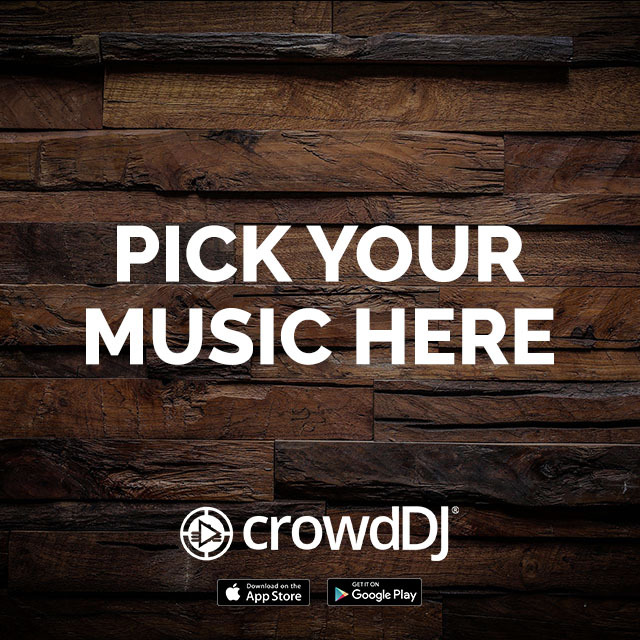 We’re giving you the power to pick the music in [YOUR LOCATION/VENUE NAME]. We’ve just installed crowdDJ so download the app now to get started. Thanks Nightlife Music! 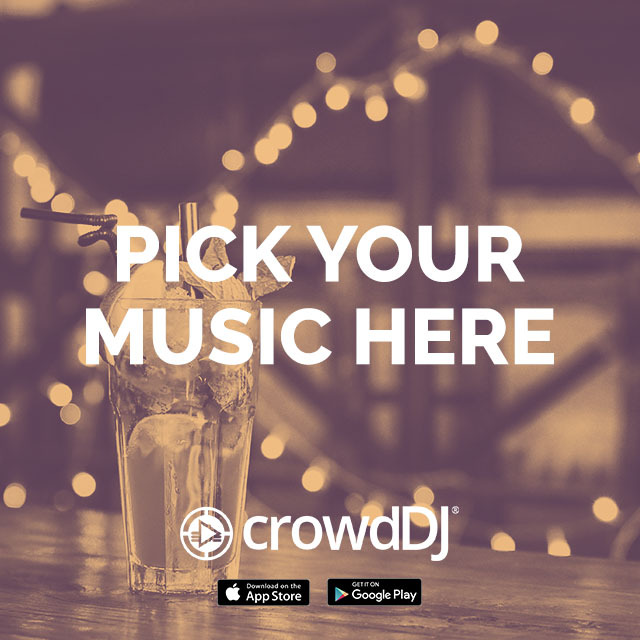 Did you know you can now pick the music that plays here at [YOUR LOCATION/VENUE NAME]? 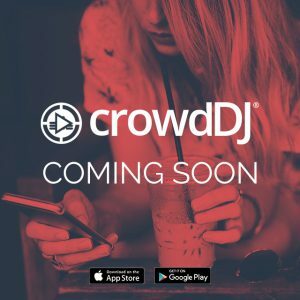 That’s right, we now have crowdDJ! 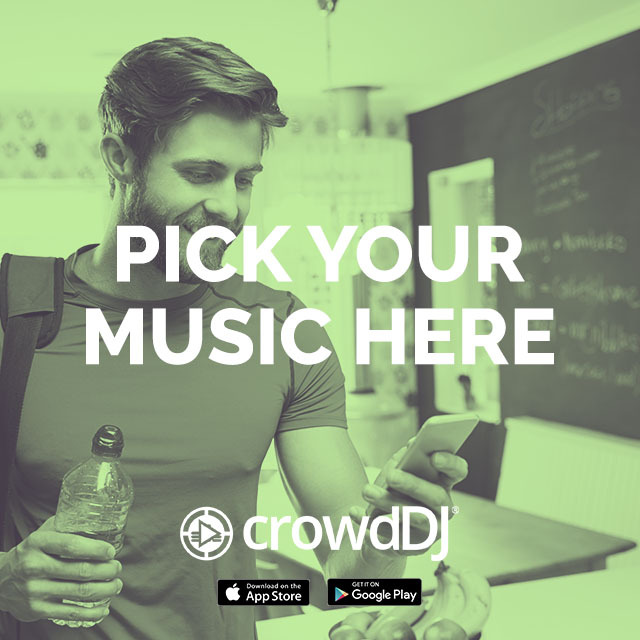 Download the app and check in – you’ll be able to see the playlist, request a song to play next and search our library. Thanks Nightlife Music for hooking us up. 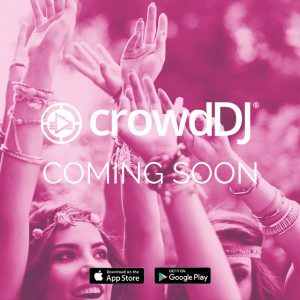 Follow up your introductory post with another crowdDJ post about the music. Multiple posts over a few days will help more of your followers see the announcements and increases the chances they will get involved with the concept. What’s your fave song right now? We want to hear it! 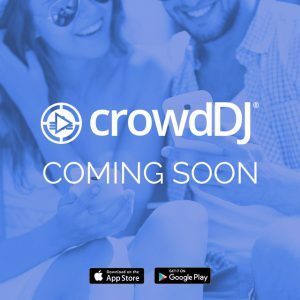 Download the crowdDJ app and pick your music next time you’re in! 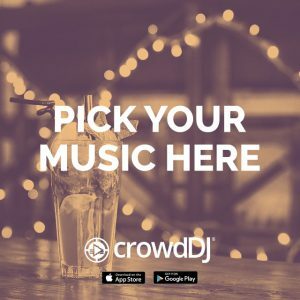 Have your say in the music we play! 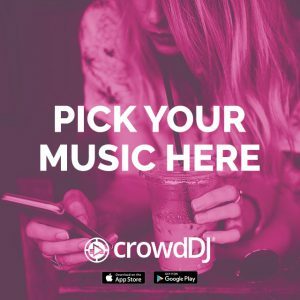 Download the crowdDJ app and pick your faves at the next Sunday sesh! We’re handing the music over to you! 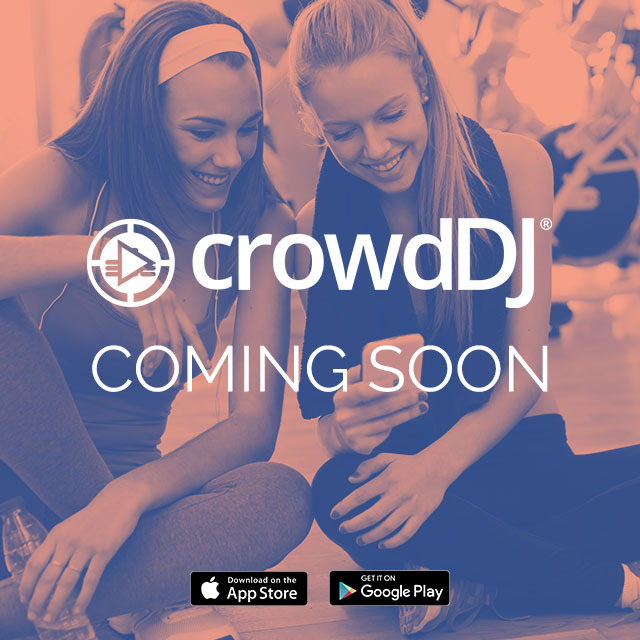 Download the crowdDJ app and you’ll be able to pick your tracks during your next workout. What are you listening to? 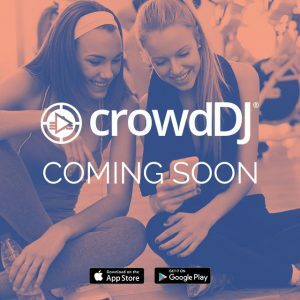 Once crowdDJ is up and running in your venue, encourage your customers/members to pick some music, use the kiosk and download the app. You can also upload your own image if you do not wish to use the available images. Ensure the image is high quality and either a JPEG or PNG file. 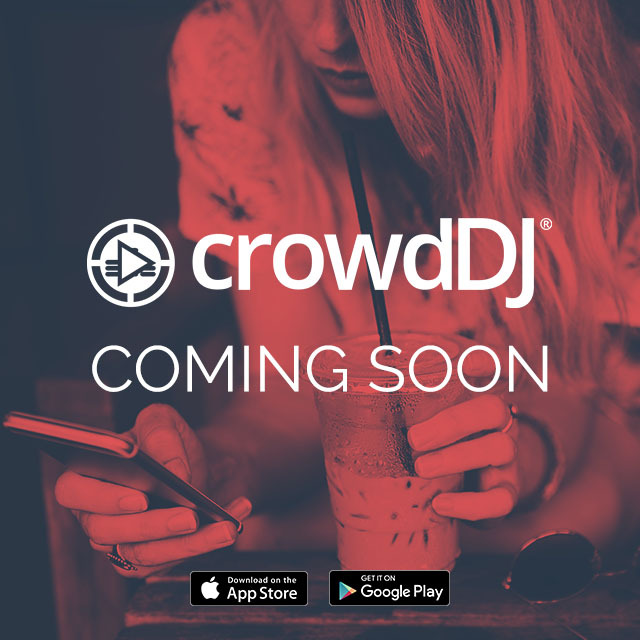 If you’d like to use the official crowdDJ logo, check out our Dropbox for assets and please read the Logo Usage guidelines. In order to make sure everyone who visits your Facebook page knows that they can pick their fave songs at your venue, you can pin the crowdDJ post to the top of your page. This ensures it remains at the top of your Facebook wall, even when you do posts at a later date. To do this click on the down arrow in the top right hand corner of the post, then select ‘Pin to Top’. 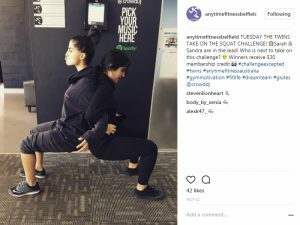 To learn more about publishing Facebook posts and using the ‘Pin to Top’ function, have a look here. 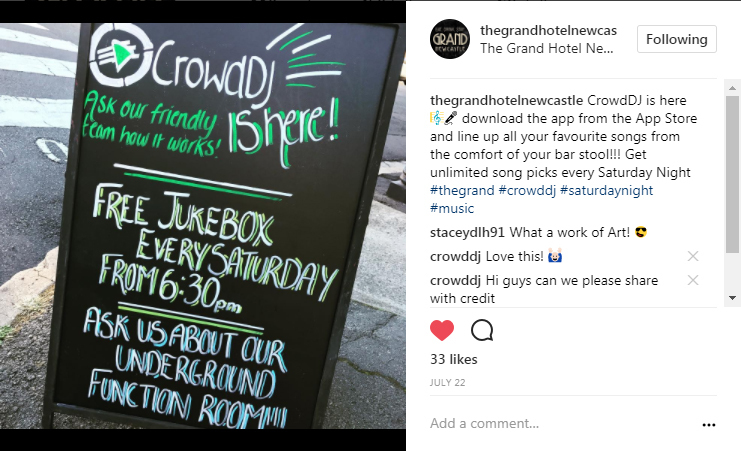 To reach a wider audience and draw more people into your crowdDJ location, you can BOOST the post – this means you will reach people who aren’t currently following your page but are interested in what you have to say. 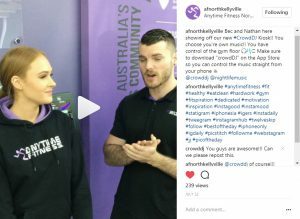 However, your post’s ‘reach’, or effectiveness, is determined by the amount of money you dedicate to boosting the post, though a small amount can go a long way. 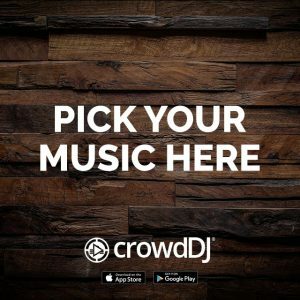 Please consider this option if you really want to make the most of your crowdDJ draw card. To boost a post – go to a post you’ve created and then click ‘Boost Post’ (the button is on the lower-right corner of the post). 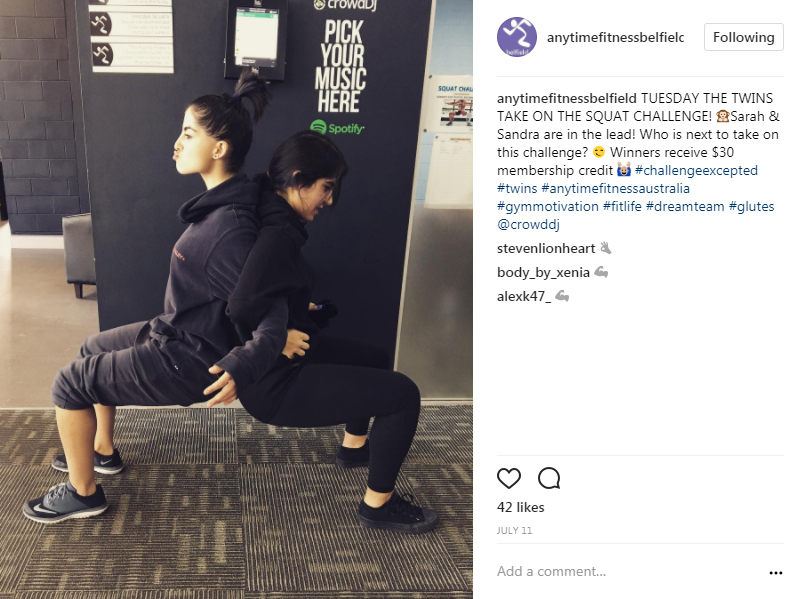 To learn more about ‘Boosting’ Facebook posts, take a look here! Remember, we are here to help! Please give us a call on 1800 773 468 should you have any questions.